The motorsport range utilises a custom alloy pressure plate that offers exceptional weight reduction whilst also retaining a very high torque capacity. These kits have been designed predominantly for motorsport applications and are used in various circuit, rally and drag racing vehicles around the world. These upgrades often require specialist components such as performance concentric slave cylinders, braided lines and in some cases, pull to push conversion components. In these cases, the components required will be provided in the clutch kit to ensure you have everything needed to successfully install the clutch in your vehicle. 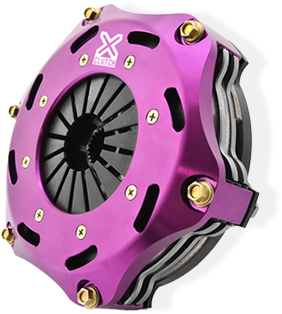 For more information about the XClutch range of motorsport clutch kits, please follow the links below.